Prepared’s setup. He uses fewer monitors but as you can see, they are very cluttered. The two are friends and have different play styles. 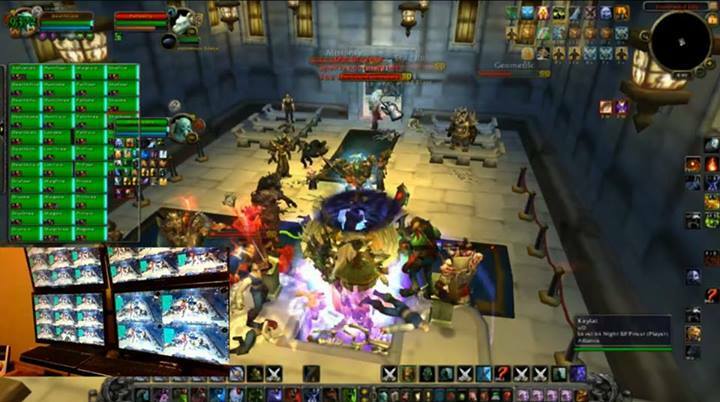 And you can see the World of Warcraft accounts on the screen, and if one was watching the stream, one would see 40 toons controlled by him or 20 toons controlled by the guy in the picture I posted earlier. These guys, who seem like nice guys because I SPOKE and interacted with them, are being judged harshly for being different. I don’t see any difference between that and jumping to a conclusion about someone based on their gender, the color of their skin, the number of tattoos they have, etc. I meet awesome gamers. I’m blessed.